One of the most frustrating things about planning a day out on the river (or the sea for that matter) is that you can arrange everything to your liking with one notable exception – the weather. I remember when my brother and I were trying to pick a weekend to bring our old Seamaster cabin cruiser, Terra Nova, back from her original mooring at Otterham Quay in the Medway up to Shepperton, we were repeatedly thwarted by bad weather. Particularly in the lower reaches of the Thames where the estuary widens out as it joins the North Sea, a strong onshore wind over an ebb tide can create really unpleasant steep waves – and we’ve got far too much respect for what the weather can do to risk ourselves, our boat and, more importantly, the lives of the rescue services, by taking chances. How often do you read in the paper or see stories on the TV about people getting into trouble because they’ve gone out in small boats without checking the weather forecast – and end up having to be rescued by lifeboats or coastguards? So to all weekend sailors, I’d recommend taking a look at a new book, which has just been published by the Adlard Coles Nautical company called the Encyclopedia of Weather and Climate Change. Engine – an explanation of what weather actually is – how the earth’s atmosphere acts and reacts to cause all of the weather phenomena that affect us here on this planet. Action – a close look at the world’s water supply – both salt and fresh and how the cycle of evaporation, cloud formation, condensation and rain or snowfall happens. Extremes – deals, as its title implies, with devastating weather phenomena ranging from thunderstorms through tornadoes, hurricanes, droughts and heat waves. Climate – focuses on the way in which scientists study global weather patterns and how regional weather can be seen to vary over the years. Change – which focuses specifically on climate change and how it is affecting us all. The book is beautifully illustrated with some truly awe-inspiring photographs of weather and its effects. It is a valuable reference for anyone who is interested in the way weather affects our lives. 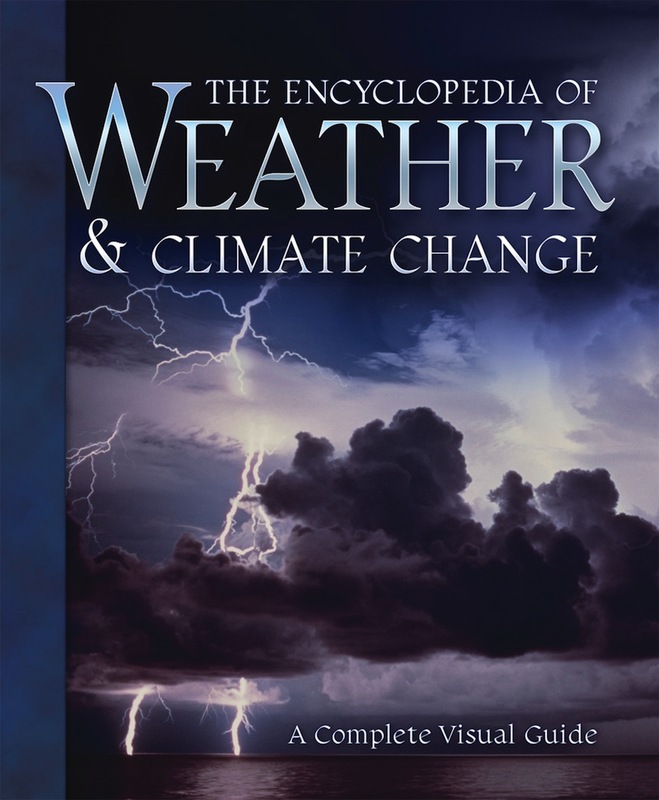 The Encyclopedia of Weather and Climate Change is published by Adlard Coles and costs £25.00 (ISBN 978-1-4081-3210-4). What is the technical term for a tidal wave created by an earthquake, a volcanic eruption or a landslide? Send your answer on a postcard to: Weather Encyclopedia competition, Riverwatch, Surrey Herald, 89 Eastworth Road, Chertsey, Surrey, KT16 8DX or email it to me: mortsmith [at] trinitysouth.co.uk. The closing date is Friday, February 18.